"Hey, what did you do today?" "Oh...Nothing." THAT most certainly is NOT my answer for today. 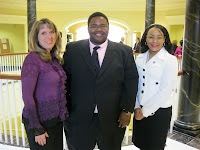 Today, I trekked down to Annapolis, Maryland to the Maryland House of Delegates. (Definitely not your normal, run of the mill, average day in 3rd grade!) Yesterday I was invited to testify today at the House Health and Government Committee today on behalf of the importance of Earth Hour from the perspective of an organization that has participated in this global event. 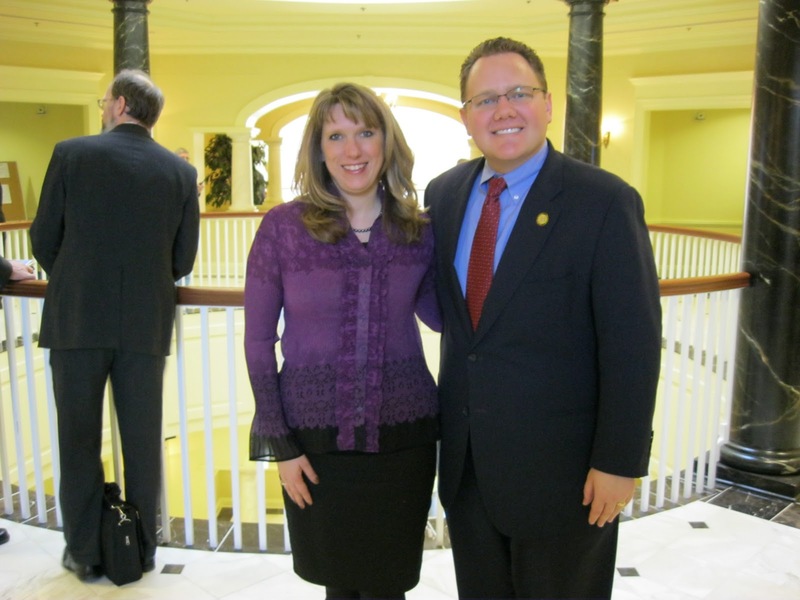 Delegate Jill Carter of Maryland's District 41 (Baltimore City) was proposing that House Bill 223 (Commemorative Day: Earth Hour) be put into the legislative docket for future vote (especially since it had failed to pass last year). 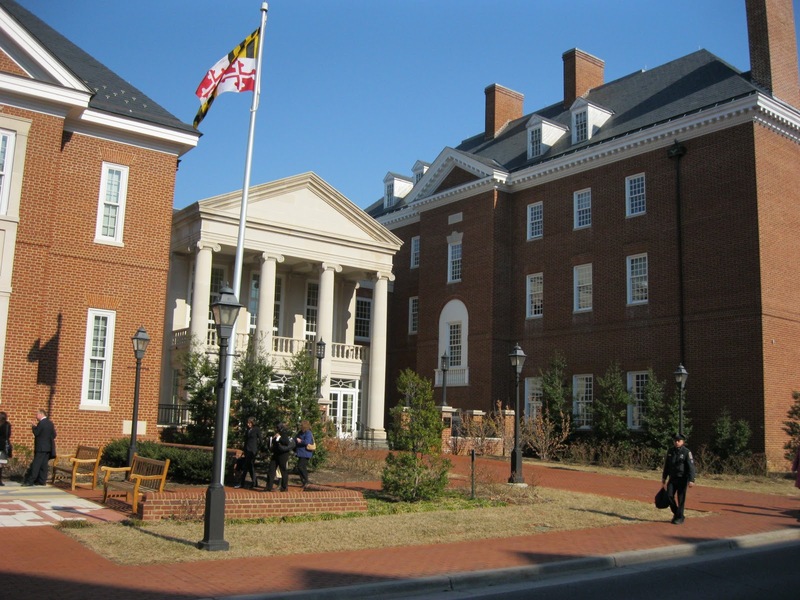 This bill would issue an annual observance to Earth Hour in order to turn out lights in selected Maryland governmental buildings during the global "lights out" event of Earth Hour. (This year's Earth Hour event is Saturday, March 26th, 2011 from 8:30--9:30 pm). Given our on-campus Earth Hour 2009 Event, and our at-home challenge for Earth Hour 2010, she and her legislative team felt we at Eagle Cove School might be a perfect match, which is why they initially approached us. 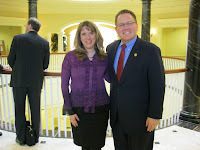 So today, February 16th, 2011 around 1:30 pm, following Delegate Carter's introduction of the bill (behind the sole light of a candle for dramatic emphasis), I was invited to speak. Being a girl more comfy with the written word than a debate or speaking off the cuff, I had prepared a speech which I was all ready to read. 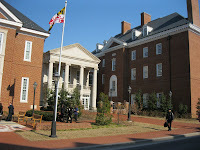 However, since it had been copied, collated, and passed out the the 20 or so committee members, and given the elements of time and the structure of the hearing (and the encouragement from Delegate Carter to "speak from the heart,") I went renegade and tried to do just that! Since pictures most certainly speak 1000 words...especially when accompanied with audio and live action, I can't even begin to describe it. Check out the link here or see the website choices below to view the today's experience on the House's archived hearings. Though butterflies were definitely fluttering in my tummy, it was most certainly a rare and memorable experience to be a part of the political world...to be part of the gears that make the governmental decision-making process work. It's definitely a tad different from your typical day in 3rd grade! As of now, we're waiting to see which way decisions and potential future votes will be made. I'll most certainly keep you posted. Special thanks to Delegate Carter and her two legislative assistants Fabion and David for finding us at Eagle Cove School and inviting us to be a part of something big--promoting the global climate change awareness-initiative of Earth Hour. It is my hope that the committee votes to make Earth Hour a regular part of our Maryland calendar! An Answer to Your Earth Hour Commercial Cravings! Today's Version of Noah's Ark: ARKive! No Need to Jump Thru Hoops for "Loop Scoops!" RSA Animate ~ Another Good Find!